Every business has its own unique needs for its operations, which is why finding an ERP solution that suits those unique needs can be a very complex ordeal. An ERP deployment must be done in a way that takes into consideration those operational requirements so that everything you need is in one place, while things that aren’t relevant to you are removed from the equation. The rollout must also be done in a way that does not pause or slow down operations; the integration must be done in a seamless way. A great ERP consultant is able to help you streamline processes that are currently rigid and compartmentalized, so that your business will be able to communicate across departments in a way that creates value for your operations. That is why so many businesses seeking a new ERP turn to an ERP solutions company like EstesGroup. Determining the perfect ERP software and implementation for your company must always start with an in-depth review (Business Process Review) of what you do and how you do it. Only then can your ERP solutions provider make an informed recommendation and begin the process of customizing and integrating the new ERP to take care of your current manufacturing, fulfillment, order management, and service provision processes. ERP stands for Enterprise Resource Planning. And this platform isn’t limited to just your on-site physical resources, though these are expertly managed by a capable ERP. A full-service ERP like Epicor ERP or Prophet 21 covers all your bases. With one complete software integration, you can control everything; from manufacturing BOM routing to HCM, and even HR hiring/training programs. In other words, an ERP software helps you manage all of your projects, processes, and people. Whether you’re currently in an older ERP or have been making do with a patchwork of Microsoft Access or QuickBooks, there exists needs within your operations that aren’t currently being taken care of in an efficient manner. Most companies upgrade their ERP solution about every 7 years as technologies evolve and modern business demands change over time. If you have a legacy ERP system, chances are you’re missing out on all the amazing new things that have been developed in the ERP sphere in the last decade. Even if your ERP is handling your manufacturing, production, and product fulfillment, you could be managing this in a much more advanced way with custom dashboards, SSRS reports, Service Connect, and do so on mobile devices like tablets so that your employees continue to stay integrated on and off the shop floor. Big data is no longer something businesses can avoid due to a highly evolving marketplace; the fact of the matter is that if you want to stay competitive, you’ll need to begin asking more from your ERP system so that you have access useful information in real-time to enhance your decision making. As mentioned previously, if your company doesn’t yet have an ERP and is working off spreadsheets and mismatched software, an ERP offers the joys of full-service integration. An ERP program like Epicor ERP or Prophet 21 can help you to manage every single aspect of the business from one fully-integrated program. This provides one unified set of data that is always internally consistent (transferring changes from one spreadsheet/program to another is no longer needed) and balances all your production processes from top to bottom. ERP developers lay the foundation for something truly amazing, yet they aren’t always willing or able to provide the consulting services needed to fully integrate the ERP with your company’s processes. That is why you need an ERP solutions provider like EstesGroup. We are currently the only company certified to offer both Epicor ERP and Prophet 21 inside the United States, and these are two of the leading full-service ERP software options available on the market for businesses of all sizes. An ERP solutions company like EstesGroup can also ensure that you don’t go through a production breakdown during the ERP upgrade. Instead of running into disaster, your ERP users and management team will be trained in a way that has you prepared for the complete rollout, and the data will be migrated over for a seamless transition. 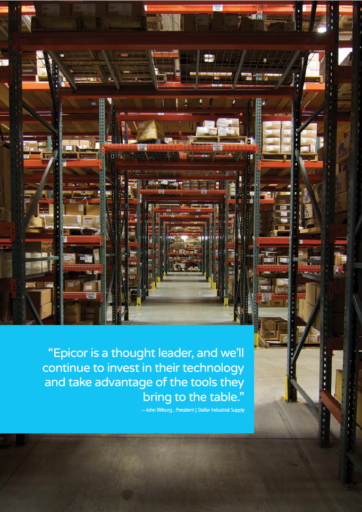 Epicor ERP is particularly well-suited to help businesses that handle their own CAD designs, manufacturing, and distribution of their own products. It contains a sophisticated set of features for production and supply-chain management along with everything else a modern business needs to run smoothly with one set of consistent internal data. The Prophet 21 ERP is also designed by Epicor, with a similar collection of full-service business management features. But unlike Epicor ERP, Prophet 21 is best for businesses that focus on inventory management and product fulfillment. Everything you need to be a local or e-commerce retail brand is at your fingertips with the integrated features of Prophet 21. With this ERP, you can easily manage purchasing from your suppliers to post-delivery customer service and all that lies in between. Without the proper guidance, choosing the right ERP software and integrating into your business model will present one of the biggest challenges your business may ever face. It requires an in-depth knowledge of ERP systems and how your business runs. Needless to say, working with an ERP solutions provider like EstesGroup to handle the rollout could be a wonderful feather in your cap. When you see the increase in productivity and the ease of production and service, you’ll know you made the right choice. The most important thing EstesGroup does in your review process of our software Solutions is to have our Vice President of Services do our software Solution demonstrations. EstesGroup feels there’s no better way to ensure your company is seeing as well as understanding the core ERP/CRM/Ecommerce systems we sell then to have the person that is ultimately responsible for your successful system implementation (the head of our service organization) do your software demonstration. A comprehensive ERP/CRM system primarily geared for the Manufacturing and Professional Service industries. Epicor 10, was developed with the latest and greatest Microsoft technology as well as increased system functionality across the suite of embedded applications. 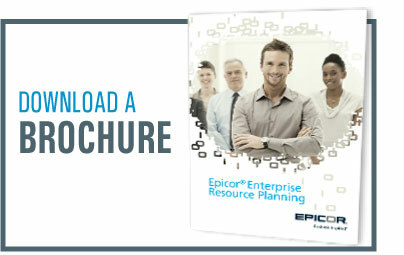 Download the Epicor ERP Brochure. Is a full ERP system designed for Distribution companies. The system has full warehousing, packing, order management, e-commerce, CRM, and in depth financial reporting. Download the Prophet 21 Brochure.